The most problem areas for every woman are hips and thighs. We don’t like it, because the excess fat in the hips and thighs makes us feel unattractive. Stop worrying about it! 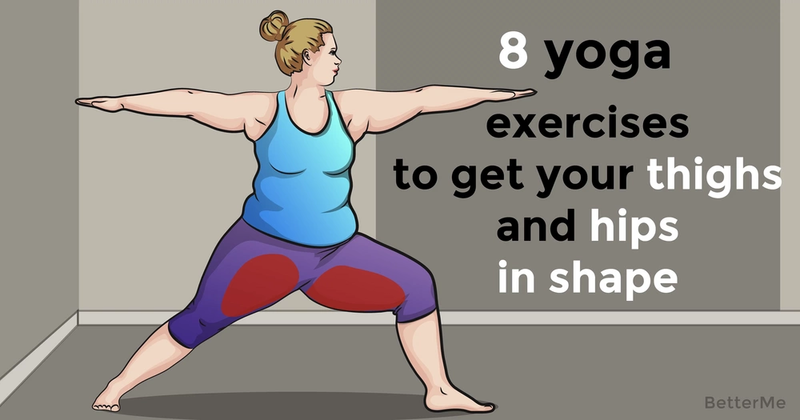 Today we have some yoga exercises to get your thighs and hips in shape! 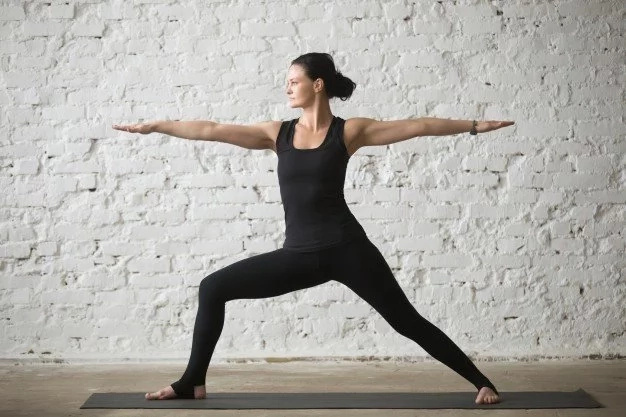 Our workout includes 8 yoga exercises such as Utkatasana, Virabhadrasana, Natarajasana, Ustrasana, Upavistha Konasana, Janu Sirsasana, Baddha Konasana and Malasana. These yoga exercises are designed for women who love the feeling of becoming one with nature and are ready for self-improvement. There is no need to go to the gym because you can easily perform this yoga workout at home. In fact, our asanas will help you reduce the fat in problem areas and also get you t an attractive and toned body. What’s more, if you want to achieve excellent results in a short time, you should combine these yoga exercises with a proper diet. Eat well-balanced meals that are full of fruit and vegetables, protein and a few complex carbs. Also, you need to drink enough water to keep your body hydrated. Well, let’s start doing our workout! We recommend that you wear a sports uniform to make your exercises more comfortable. Also, cool, energetic music will help you unite with nature and easily perform asanas. Are you ready? Let’s do it! Scroll down to see how perform these yoga exercises. Begin from a standing position with the weight of the body on one foot as the opposite heel lifts up towards the buttocks with a bent knee. The hand on the same side of the body as the bent knee reaches back to grasp the outside of the foot or ankle. With the added resistance of the hand gripping the foot, the bent leg and foot is then lifted up away from the earth and the torso towards the back of the room until the thigh is parallel to the earth. Then the arm on the same side of body as the standing leg extends up and forward to the front. The gaze is forward. Avoid compression in the lower back by actively lifting the pubis towards the navel while at the same time, pressing the tailbone towards the floor. From a wide stance the legs are open and extended sideways to your degree of flexibility. The outer edges of the feet are rotated and gripping toward the earth. The weight of the body is supported by the arms. The palms are rooted into the earth with the fingers pointing towards the body. There should be no excess weight on the knee or ankle joints as you lower down to your degree of flexibility. The gaze is down and slightly forward. In this inverted posture, the weight of the body is evenly balanced on the forearms that are narrow. The fingers are interlaced (pinky fingers spooning). The crown of the head is resting softly on the earth (only to regulate balance) between the interlaced fingers hugging the head in order to stabilize and protect the neck. The shoulder blades are pressed against the back to widen the back as the tailbone continues to lift upward toward the heels. The gaze is straight.